Yet, the need for real cooperation is undeniable: with considerable understatement, Latvian education (and former economy) minister Vjačeslavs Dombrovskis said a year ago that “Baltic co-operation could certainly be strengthened.” In other words, to translate this into English: it’s just weak. Even laughably so on things such as rail transport. Finally there’s been agreement on a rail line linking Tallinn to the Polish border via Riga and Kaunas. Held up for, among other reasons, name; LV/LT prefer “Rail Baltica”, but perhaps coming from a different language family, EST prefers “Rail Baltic.” So when EU Commission came to do a fact-finding trip and test demonstration they had to call it…RB Express [slide]. 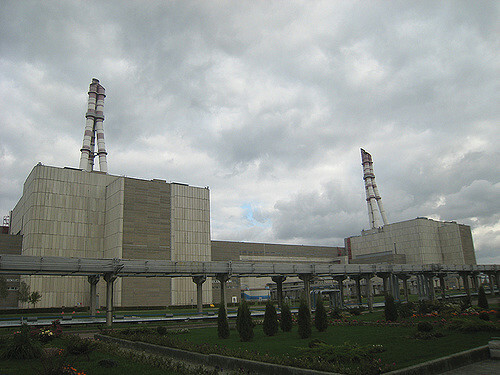 After the forced closure of the Ignalina nuclear power plant (as part of Lithuania’s EU accession deal) in 2009, a facility that supplied 70% of that country’s electricity, the fortunes of the proposed Visaginas replacement project have risen and fallen. While public statements in Estonia have been supportive of the facility, the reality is that Estonia already has a reliable physical electricity connection to the European grid via the Estlink cables—the 2nd of which having come online, doubling capacity, this year—whereas Latvia’s ability to generate electricity from renewable energy reduces worries there. Accordingly, Visaginas remains far from the finish line; while this was not helped by the failure of a consultative referendum in 2012 (in which nearly 2/3 voted against the project), the political will remains in Vilnius, but has not been echoed in Riga or in Tallinn. And the main reason for this, in my view, is simple economics—many in these two capitals believe that only Lithuania will benefit from the project; while others are neutral or even positive towards it, the fact remains that without more sustained interest from the Estonian or Latvian side, a project of this scale—which would definitively end electricity dependence on Russian and Belorussian sources—will never become reality. None of this is to say that any of these nationally-driven policies are irrational—there are differences among the three states, and these differences do, in democratic countries, get understandably transmitted into policy reality. But they must be accounted for in designing major multilateral policy initiatives—such as the Eastern Partnership itself. Emmet Tuohy is an EDSN Fellow and a senior research fellow at the Estonian Center for Eastern Partnership (ECEAP), an institution founded by the Estonian Ministry of Foreign Affairs and Estonian School of Diplomacy. EDSN is an international project of the Center for Social Sciences, Tbilisi, and made possible with generous funding from the National Endowment for Democracy.